The latest impact assessment of Brexit scenarios models a fall in average farm profits from around £42,750 a year to £26,285 in 2022 in the case of a 'hard Brexit'. Trading on World Trade Organisation (WTO) terms with the EU and higher labour costs could see average farm business income (FBI) in England drop by more than a third over the medium term. 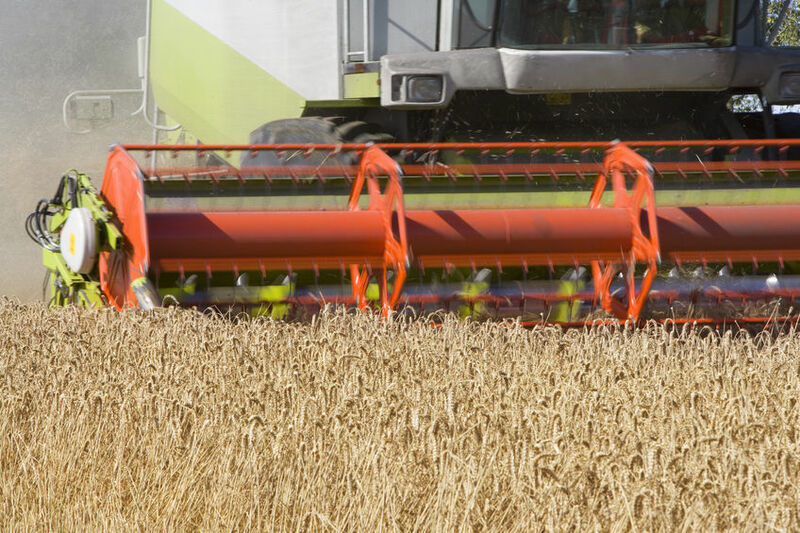 The study, commissioned by AHDB and conducted by Agribusiness Intelligence, models the impact by 2022 of two new scenarios on farming incomes, taking into account changes to policy, labour and trade, including the temporary tariff regime announced by government in March. The first, UK-EU free trade agreement (FTA), assumes a free trade deal has been agreed, while the second, WTO:UK tariffs, assumes UK produce will face EU Most Favoured Nation tariffs while imposing its own tariff regime on imports. While an FTA with the EU provides for more stable conditions post Brexit, higher labour costs, trade friction and changes to policy in England will nonetheless start to have a negative impact on farm incomes under both scenarios. The analysis also highlights the dependency on some sectors of CAP direct payments, which are set to disappear over the medium term as a result of policy changes in England. For less favoured area (LFA) beef and sheep farms, under the scenario 'UK-EU FTA' incomes would remain roughly at the baseline FBI of around £24,000 but WTO:UK tariffs sees a drop in FBI of about £10,600, the study shows. Removal of direct payments would see a fall in income in both scenarios, becoming marginally negative in the case of a deal but dramatically so in the case of WTO:UK tariffs, at more than £10,000 in losses. For beef, this is due to a new tariff rate quota (TRQ) of zero per cent on 230,000 tonnes worth of imports, allowing cheaper imports onto the UK market, even when taking into consideration trade friction costs. For lamb, this is due to over-supply on the domestic market due to exports becoming uncompetitive in the face of EU tariffs. Lowland beef and sheep farms would see baseline income of £16,683 fall to £15,000 under UK-EU FTA but more than halves to £7,100 under WTO:UK tariffs, the study says. Removing direct payments away puts income as negative in both scenarios, at around -£1,200 and -£9,000 respectively. A steep decline in production returns in the WTO:UK tariffs scenario is the key downward driver, though the loss of direct support is partly mitigated by an expected increase in agri-environment payments within the model. For the pig sector, baseline FBI of £36,578 decreases in the UK-EU FTA scenario, to just over £21,200 with direct payments and £11,000 without. Under WTO:UK tariffs, FBI is negative, at about minus £11,000 with direct payments and minus £21,000 without. Labour costs are a large element of these falls, as is competition with cheaper imported product under the WTO:UK tariffs scenario. Dairy farms would see drops in income across both scenarios from the baseline FBI of £70,694 to £58,000 under UK-EU FTA and £55,000 under WTO:UK tariffs. As a net importer of dairy products, increased trade friction costs could benefit domestic revenues, the study says. Cereal farmers would see baseline FBI falls 19 per cent from £48,902 to just over £39,000 in the UK-EU FTA scenario. Under WTO:UK tariffs, it falls by 29 per cent to just under £35,000. The cereals sector is particularly susceptible to the removal of direct payments in this scenario causing a negative income. Increased labour costs are a significant cause of the falls in both scenarios, with inputs costs also rising in the event of WTO:UK tariffs. A decline in revenues from barley, due to market access to the EU being closed off by high tariffs, also contributes. General cropping farms would see baseline FBI falls from £78,478 to just over £55,000 in the UK-EU FTA scenario and to just over £51,000 under WTO:UK tariffs. This is driven by increased labour costs, which make up a higher proportion of costs than cereals farms. As a net importer of most these crops, there may be a small increase in production revenues as imports would be at a higher cost due to trade friction. For potato farms, FBI falls under both scenarios from the baseline £1,337 per hectare to £900 per hectare under UK-EU FTA and just over £1,000 a hectare for WTO:UK tariffs. Increased labour costs are a contributory factor in both scenarios but increased production revenues are seen in the WTO:UK tariffs scenario, as trade friction increases the cost of imported potatoes. Carrot farms would see baseline FBI per hectare is £1,640, falling to £1,300 under UK-EU FTA and £1,445 under WTO:UK tariffs. Production revenues are seen as increasing due to rising carrot prices as a result of trade friction costs on imports but labour costs would rise by £486 per hectare.